During dinner at the restaurant Harnett & Holder I saw a brilliant example of what I call ‘B2B2C’ branding: building a brand with business customers to in turn promote the brand to consumers. 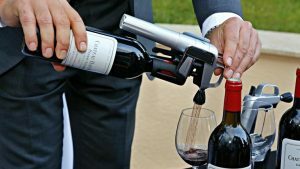 The brand in question was Coravin, a clever device that allowed the restaurant to offer a ‘Special By The Glass Selection’ of fine wines, by serving the wines without having to open the bottles. 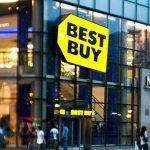 Below I explore how B2B2C branding can help build a business using Coravin as an example, including one area where they could, in my view, do better. Coravin is one of many examples I’ve posted on about how founders found inspiration not through consumer research, but rather by BEING the consumer and solving a problem they themselves faced. Coravin creator Greg Lambrecht is a wine enthusiast who got frustrated at having to drink a whole bottle of wine once it was opened. What he really wanted to do was to be able to savour “a perfect glass” of wine, then come back and continue drinking the bottle later. Greg used the expertise from his day-job, inventing medical devices, to create a way of pouring a glass of wine without pulling the cork. 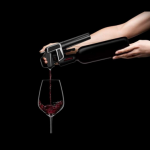 The Coravin device inserts a needle through the cork, and injects argon into the bottle as the wine is poured, to prevent the wine oxidising. You remove the device after pouring, and can keep the bottle for days, weeks or even months, before pouring the next glass. Greg’s story also illustrates how important stamina and resilience is for new ventures. It took 23 prototypes, built over many years, before Greg perfected his product. Greg has secured some fantastic endorsements from wine experts. Back in 2013 he was able to try out Coravin with Janice Robison, one of the best known wine journalists. In a trial at Janice’s home, she was unable to tell the difference between two bottles of an identical wine: one opened that day, and one opened three years before. “I cannot fault Coravin technically and I can easily see its applications for restaurateurs who would like to offer particularly fine wines by the glass,” she commented (1). Having an expert demonstrate Coravin produces what I call ‘immersive trial’: you experience a product for the first time in the ideal circumstances, as part of a memorable and highly enjoyable experience. This memory structure related to this experience is then triggered when you come across the brand in the future. In my case, the immersive trial worked a treat: I went out and bought a Coravin device to use at home. 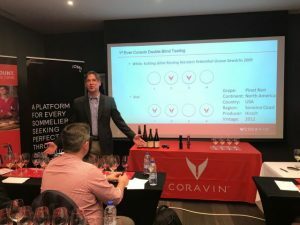 The one area where I feel Coravin is missing a trick is amplifying the expert endorsement the brand has got, from wine experts and sommeliers. The brand’s main consumer website has no obvious place featuring the amazing endorsements Coravin has received. 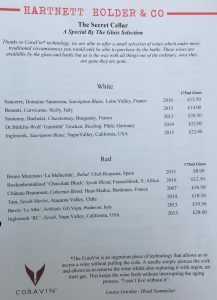 There are some reports of expert endorsement on the Coravin blog, but this has a different name (‘Wine O’Clock’) and is not integrated into the consumer website. I suggest Coravin could learn a trick from Fever Tree, who used press and poster advertising to amplify the endorsement of world-famous chef Ferran Adria for their tonic water, as we posted on here. In conclusion, Coravin a great example of B2B2C branding, leveraging expert business customer usage to promote the brand to end consumers and create immersive trial. If you’re interested in Coravin yourself, you can check it out on Amazon here.